Planning an event in London can at times be problematic with all the logistics involved. However, many businesses in and around the capital don’t let this stop them and neither should you. To make your life easier we have put together a list of everything you need to know to help guide you through the process. 1. What Is the Ultimate Goal of Your Event? First and foremost, you’re going to need to lock down your vision for the event. What is your ultimate goal? Be it educational, entertainment or business, it's always wise to focus your sights on what outcome you want and, of course, stick to it. By laying down the groundwork of what you exactly want to come out of your event, it’ll be a lot easier to figure out what should go into it. For example, some of the factors that could impact your vision are planned attendee numbers, target revenue and PR. Quick tip: Planning a Christmas party? Then take a look at our London Christmas party venues. Figuring out your budget will take a lot of planning and organisation. But once decided, you’ll find that it will influence every other aspect of your event. How much revenue do you hope to receive from this event? If this isn’t your first event you should be aiming for year-over-year (YOY) growth. Will you be funding the entire thing yourself or will you be working with sponsors? What expenses will I need to consider? Whatever your expenses may be, you should make a comprehensive list that covers everything. If there was a time to cut costs, it’s during this phase. Now you have a better overview of your budget, you can begin prioritising what is important and what you can afford to lose. Quick tip: Remember to keep things realistic and to have some sort of emergency fund left over just in case. Now you have a good idea of what your event will be along with its scope and size, it’s time to pick a location or venue. Whether you’re looking for a large venue or something unique, our free Venue Finding Service will help you find the right venue, based on your event type, seating style, location and number of guests. With 1,479 London event spaces listed, including venues in Central London, you won’t be in short supply of fantastic ideas. This will not only save you time and stress, but also money as we can even negotiate some great venue prices for you. What is the most convenient location for your guests? Is there any kind of parking? Is it fully accessible for those with restricted mobility? 4. How Do You Brand an Event? 5. What Catering Should I Have for My Event? Most events will have some form of catering. You’re going to have some very unhappy attendants if there is no access to food or drink. Take the time to find the right caterer for your event and, of course, the right cuisine. You’ll need to decide whether your event will go for table service or a buffet. This should be based entirely on your guests and their requirements. Quick tip: Surveying any registered guests about their food preferences before the event will save you heaps of trouble. This can also be a great way to find out how many guests have specialist dietary requirements. 6. What Is the Right Entertainment for My Event? This can vary from speakers playing music, guest speakers to live performances. It is entirely up to you (and your budget). This step shouldn’t be treated lightly as this could become the most memorable thing about your event. Make sure your entertainment ties up nicely with the branding and theme of your event. You should also consider how your guests will react to it. The last thing you want is for your event to feel out of touch with its attendees. Quick tip: Whatever entertainment you decide upon, ensure that you research it thoroughly. The best way to do this is through looking up online reviews. Now you have a pretty good idea of what your event will feature, it is worth figuring out your equipment requirements. Start by creating a comprehensive list (not another one!) of the necessary equipment your event will need and the people to operate it. Find out what your selected venue provides to see if there is any cross-over, and then hire anything else that is not included. Quick tip: Communication equipment can be needed if the event has a lot of moving parts. This can vary from a management type app or the tried and tested walkie talkie. 8. What to Do Just Before the Event? Now’s the time for double checking. Do not leave this to the last second, give yourself a week to properly contact all parties involved i.e. participating vendors and entertainment. If you need to find a replacement, you’ll at least have some time to find them; as opposed to doing it all on the big day. It is also worth checking in with the venue to make sure everything is running smoothly on their end. Quick tip: On day of the event you should test any and all equipment as soon as it arrives. Now you’re all ready and set to go. You’ve done all the planning, so now just focus on making sure everything is executed as expected and that your guests have a good time. 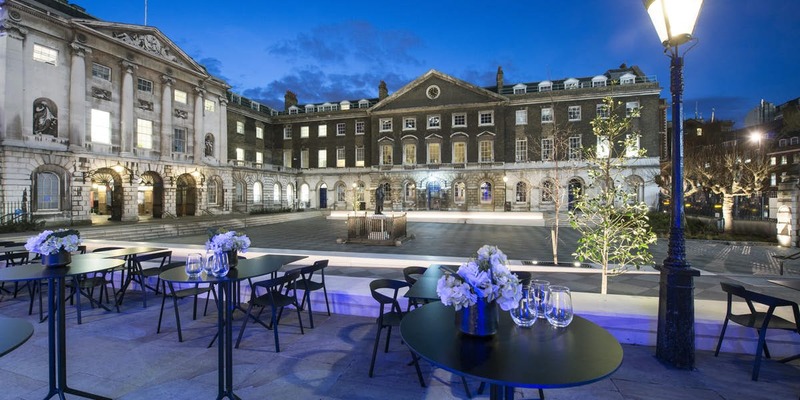 The Venue Search London team are ready to assist with finding the perfect London venue, so start your free venue search now or call us on 0207 870 9305.